To prepare the femoral component, the top of the femur bone is cut into several pieces to remove the implant. The segments of bone are cleaned, and the new femoral implant is inserted into the femur either by a press fit or using bone cement. The segments of the femur and the femoral component are held together with surgical wires. 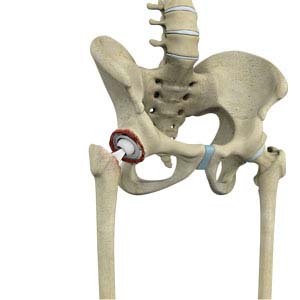 Then the femoral head component made of metal or ceramic is placed on the femoral stem. All the new components are secured in place to form the new hip joint. The muscles and tendons around the new joint are repaired and the incision is closed.